Update on Crowd Funding Campaign and my Bloomin’ Onion Quest! Sadly, my Kickstarter Campaign has now failed. I want to first thank everyone that has backed me and spread the word about my project! I am extremely grateful. You are not just helping me get a book published, you are helping me to continue to do the public policy work my wife and I have been doing for the benefit of our community the past 17 years and what my memoir details. Our goal has always been to help out farmers, our community, our friends. That’s what the book is about. I do have exciting news … my Muckville-hire an editor project now will be featured on the Crowd Funder Show. When you back me for every dollar you back you get a gift card from places like Best Buy, Sears, The Gap, Toys R Us or Home Depot of equal value. Total win-win. It’s like supporting me for free. You have backed me on Kickstarter and I am very very appreciative of that, but if that campaign fails (Kickstarter is all or nothing) I hope you consider backing me on this program. Again, not only are you supporting a worthy cause you can receive a gift card worth the matching value of your donation at a place you will probably be purchasing soon from anyway. Again, I am truly humbled by all of the support and appreciation shown for the work that Eve and I have done over the years! 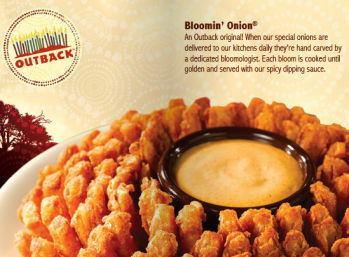 One other update: Outback is not only giving me a free Bloomin’ Onion they re sending me 5 additional Bloomin’ Onion certificates! I will be giving them away via some sort of contest on this blog! Look for the contest to come soon! This entry was posted in Uncategorized and tagged #GivingTuesday, 2005 Capital One Bowl, 4th generation onion farmer, Agricultural policy, arthroscopic surgery, Best Buy, black dirt, Bloomin' Onion, bulk boxes, charity, Chris Pawelski, complimentary Bloomin' Onion, contribute, corporations, crop insurance, crowd funding, customer service, Dr. John Juliano, farm, farmer, farming, Farmroot, fruits and vegetables, giving back, Giving Tuesday, Goshen New York, Home Depot, Iowa Hawkeyes, Iowa University, Iron Bowl, Kickstarter, LSU, memoir, meniscus tear, muck, Muckville, Muckville: Farm Policy Media and the Strange Oddities of Semi-Rural Life, Nick Saban, onions, Orange County New York, Outback Bowl, Outback Restaurant, public policy, Sears, specialty crops, Starbucks, steroid shot, thank you, The Crowd Funder TV Show, therapeutic massage, University of Iowa graduate, vegetables, vegetables and fruits, Washington DC by chrispawelski. Bookmark the permalink.